← Amazing Stunt By Jean-Claude Van Damme… Me & JCVD! 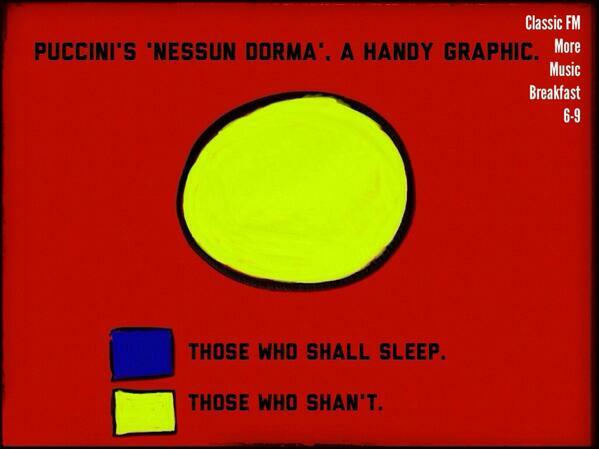 Puccini’s ‘Nessun Dorma’ – A Handy Graphic! Image | This entry was posted in About Brendan Ball and tagged cartoon, dorma, graph, graphic, handy, humor, Humour, Music, musical, musician, nessun, none, opera, operatic, puccini, shall, shan't, sleep, those, who. Bookmark the permalink.